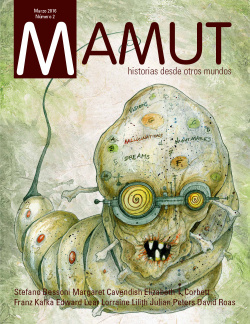 My adaptation of Edgar Allan Poe’s “Annable Lee,” appears in the latest issue of Mamut, a semi-annual Spanish-language magazine based out of Barcelona and dedicated to sci-fi, fantasy and horror culture. It’s a thrill for me to be included in Mamut, whose tastes in art literature couldn’t be more up my alley. My comic appears in the original English, but is preceded by a beautiful Spanish translation of Poe’s last completed poem by Fernando Maristany (1918). This entry was posted in Annabel Lee, comic book poetry, comics, Edgar Allan Poe, Poetry Comics, Poetry translation and tagged annabel lee, barcelona, Edgar Allan Poe, fernando maristany, mamut, spanish translation. Bookmark the permalink. When will …Prufrock be available? I’m dying here — and want four copies, maybe five. C.